A report by We Are Social that mapped global digital and mobile trends placed Egypt at the last place with average internet speed of 1.7 MBPS. 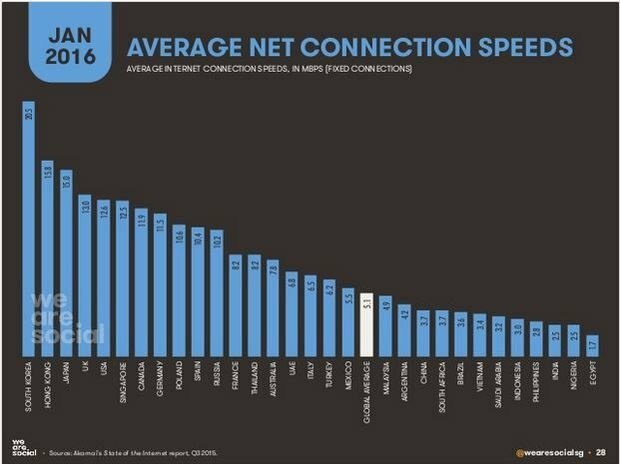 Egypt's average internet connection speed for fixed connection is about 1.7 MBPS, coming in last place in a list of 31 countries chosen for the overview on international digital trends. The data came as part of We Are Social's "Digital in 2016" report which compiled global digital, social and mobile statistics from almost 232 countries. 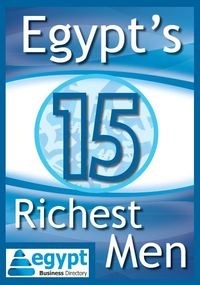 Egypt was selected to be part of the overview of the report that offered insight into internet and mobile statistics in the country. With a total population of 92.45 million, Egypt has a little over 48 million active internet users, recording a 52% penetration. The social media users counted for 30% while people with a mobile connection recorded 102%. Active mobile social users are around 23 million with an outstanding growth of 39% since January 2015. Egypt also recorded 8% growth in internet users and 275 in social media users while the mobile subscriptions dropped by one percent. The 102% of mobile connections accounts for 685 of the population almost half the population (43%) have 3G connections. Mobile share of web traffic in Egypt is almost 22% Egyptian mobile users recorded very low percentages of post paid mobile subscriptions as 89% of the population uses pre-paid methods. Egyptian internet speed has been a subject of debate in the recent years where consumers complained and even arranged a virtual protest against the very low internet speed, one of the lowest in the world according to the report. South Korea provided the highest internet speed for its users with average 20.5 MBPS. Out of almost three and a half billion internet users in the world, the Middle East has 128 million, recording a 53% penetration. The region recorded an impressive 66% of mobile social growth since 2015. The report by We are Social focused on four elements, use of internet, social media, mobile connections and mobile social.